Toshiba organized a big press conference in Tokyo today, and the company did not only unveil a total of 15 new REGZA LCDs for the Japanese market. 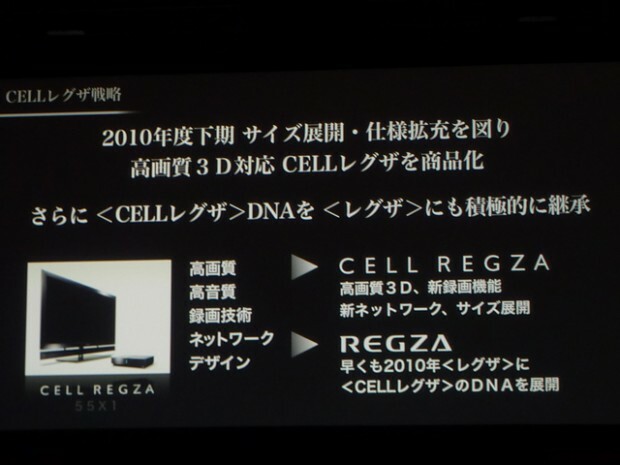 Perhaps more importantly, Toshiba also announced the development of a new 3D TV. It seems Toshiba can’t afford to let Sony, Panasonic, NEC, Sharp and Hitachi be the only Japanese tech companies try to create a new business for themselves. Toshiba has also said they’ll be holding another, 3D-related press conference soon. We’ll keep you posted.